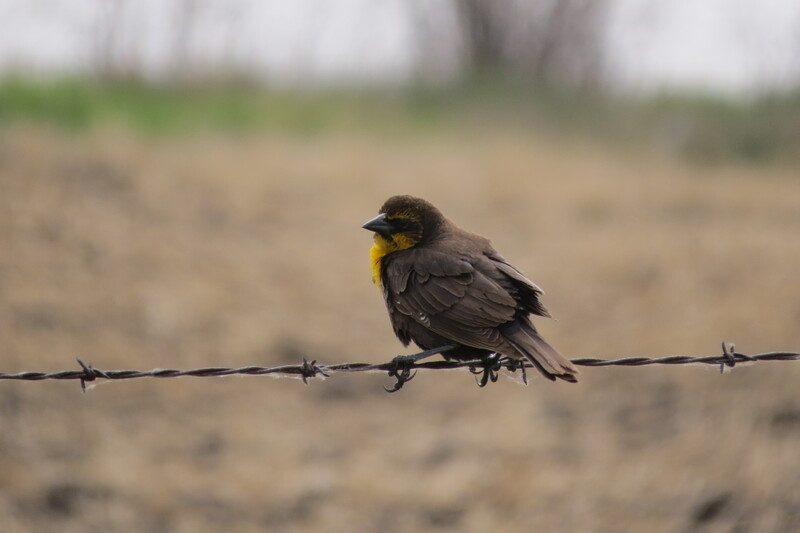 I held my Great Canadian Birdathon on Saturday, May 30th — it was a cool and windy day but there were lots of birds to been seen! 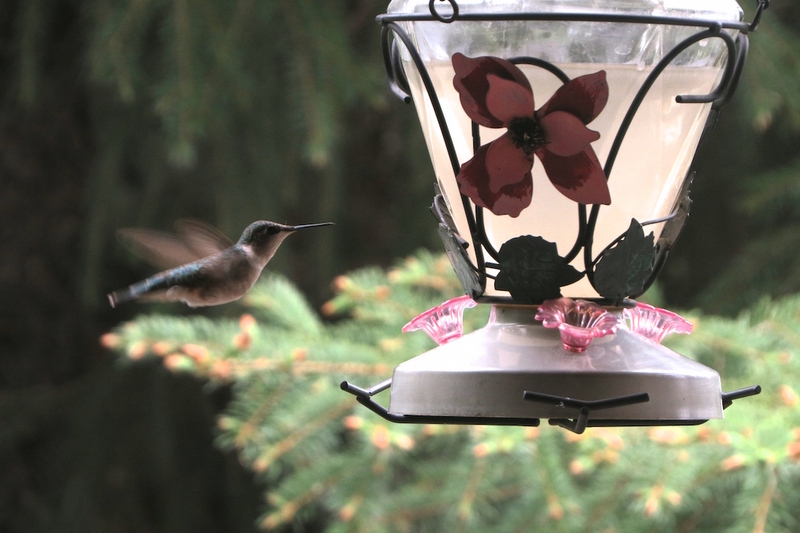 The first bird I saw was a female Ruby-throated Hummingbird at my window feeder at 6 am. I saw two female hummingbirds throughout the day while in the house for snacks. At the slough across from our house where I was able to find many species of waterbirds, including Cinnamon Teals, Black Terns, Yellow-headed and Red-winged Blackbirds, Blue-winged Teals, Wilson’s Phalaropes, and American Coots. 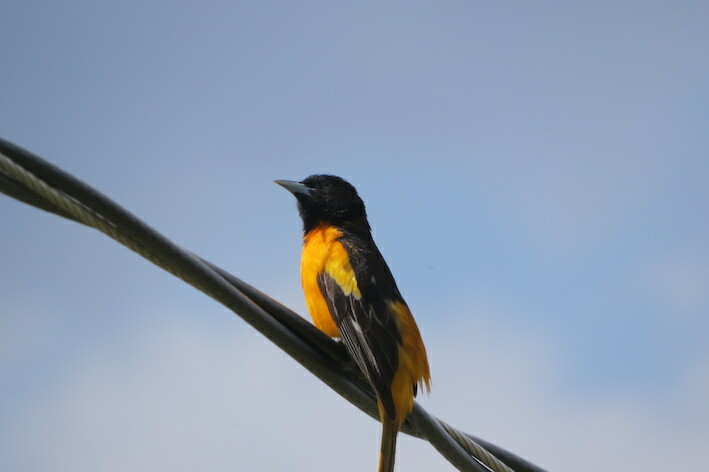 I walked over to the woods where I added Yellow Warbler, Baltimore Oriole, Song Sparrow, American Robin, European Starling, and Clay-coloured Sparrow. 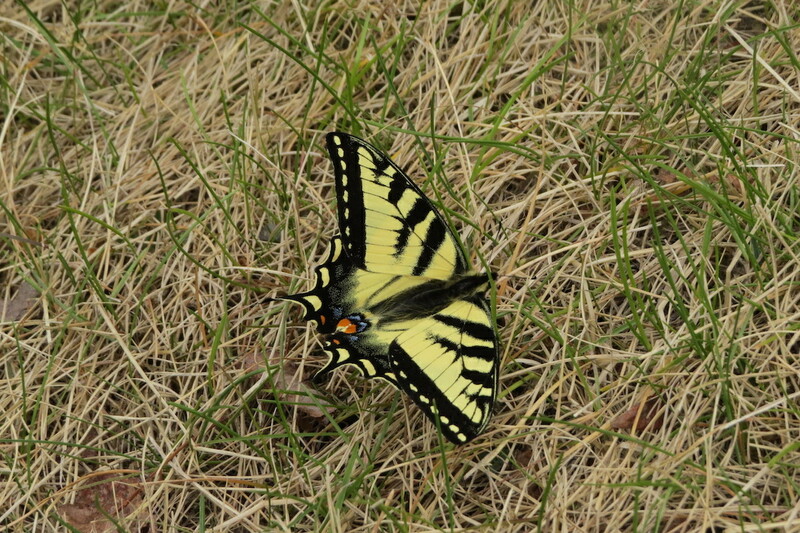 I think the strong winds prevented many birds from singing, so I wasn’t able to find many songbirds in the woods. 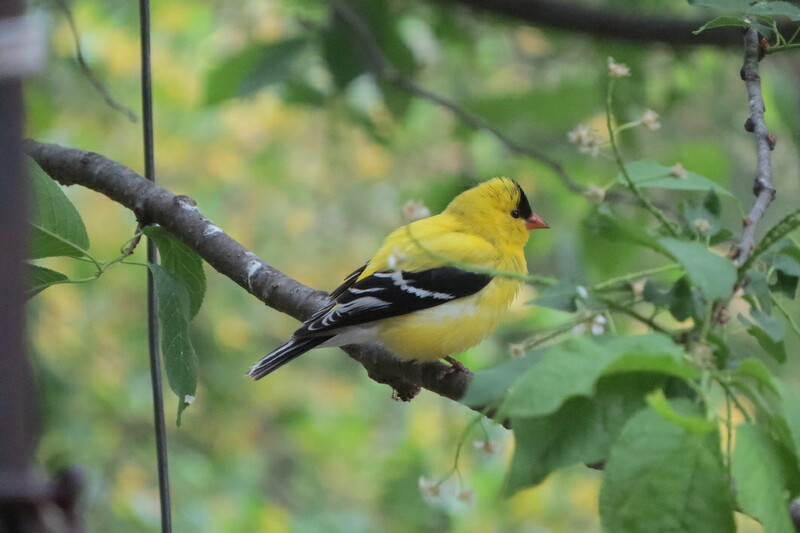 I stopped at my grandmother’s yard where I saw lots of American Goldfinches and another female Ruby-throated Hummingbird. From my grandmother’s, I drove to the Vermilion Provincial Park. 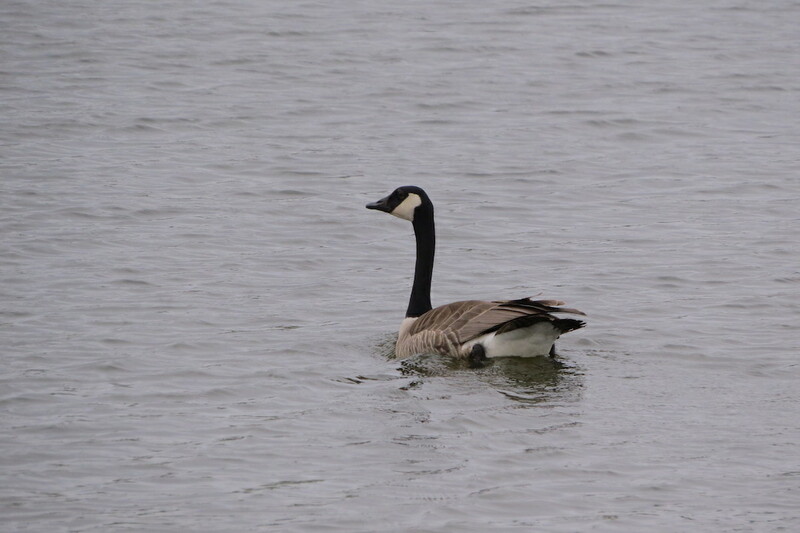 There weren’t as many species in the park as I was hoping for, but I was able to see Purple Martins, Yellow Warblers, a Great Blue Heron, and a pair of Northern Rough-winged Swallows (a life bird for me!). 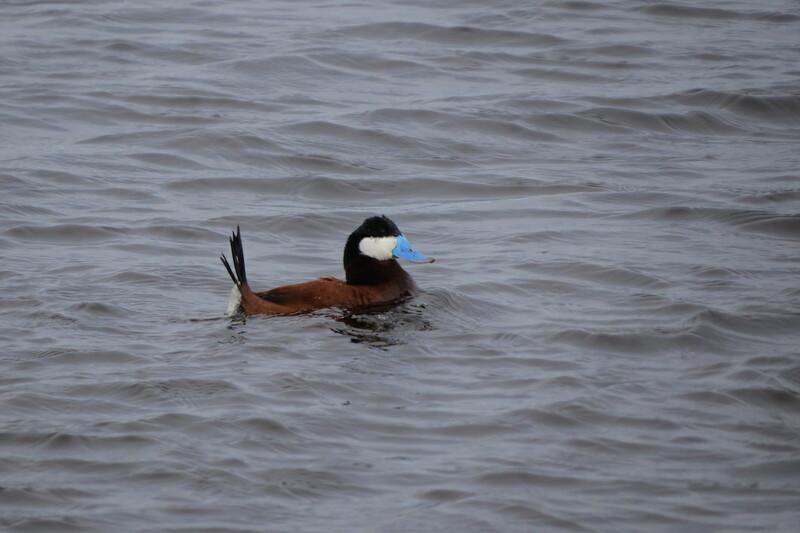 After the park, I drove north on the gravel roads hoping to find more species to add to my list. 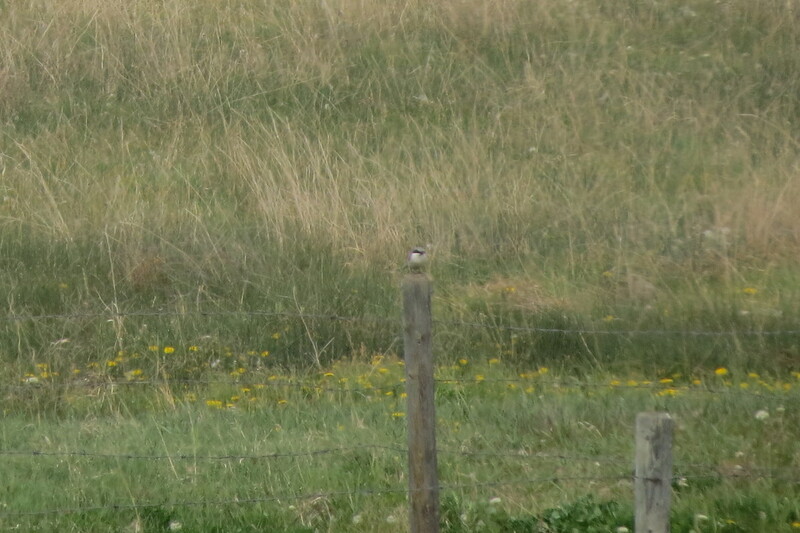 On my drive through the countryside I picked up Northern Pintails, Eastern Kingbirds, Ring-necked Ducks, two Snow Geese, an American Kestrel, and possibly the best bird of the day — a Loggerhead Shrike (another life bird) several miles north of my house. 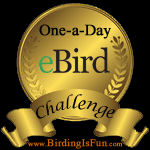 Altogether my Birdathon was very good and I tallied 76 species. 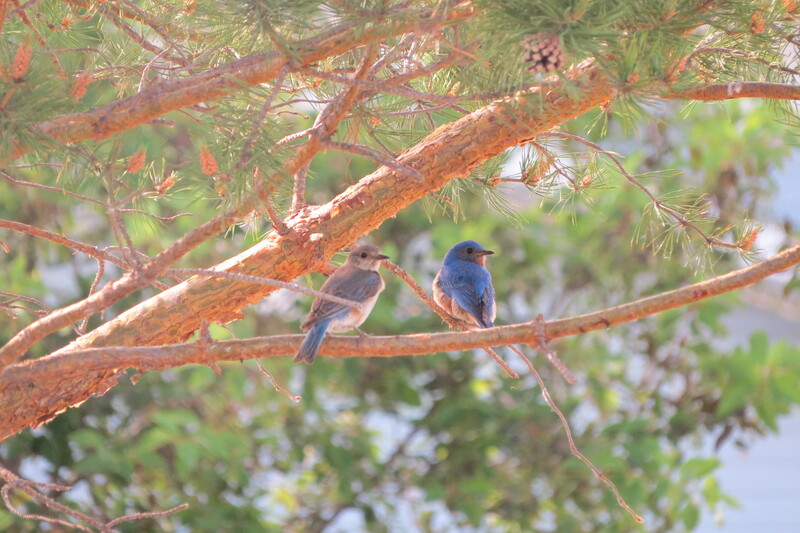 My goal for the Birdathon was originally $1,000, with my funds earmarked for the Beaverhill Bird Observatory and Bird Studies Canada, but thanks to great support and generosity, I’ve raised $1,750 so far. Thank you very, very much to everyone who has supported my birdathon this year, I greatly appreciate all of the donations and encouragement. 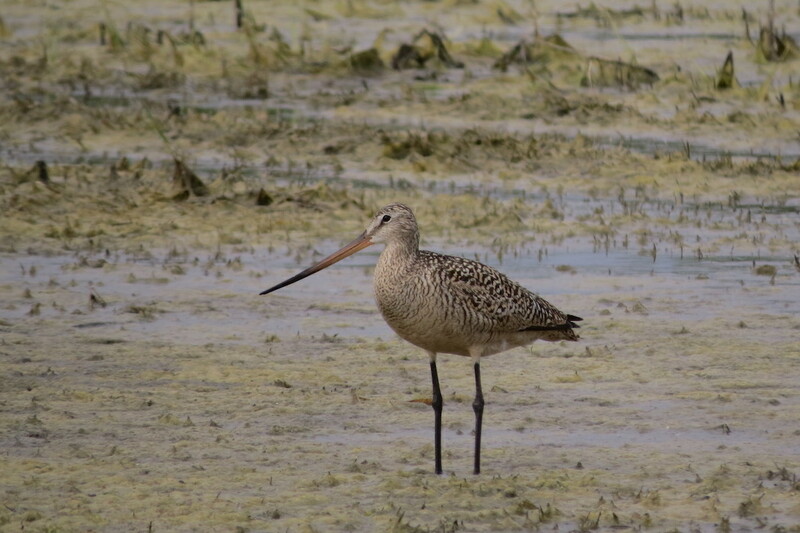 If you’d like to add more to my total for the worthy cause of bird conservation (and donations over $10 are tax deductible), you can visit my team page. 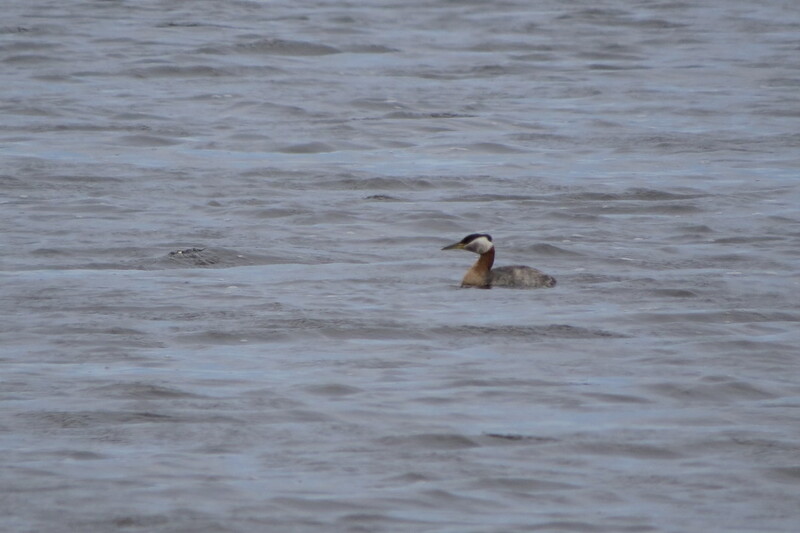 Horned Grebe, Eared Grebe, Red-necked Grebe, Double-crested Cormorant, Great Blue Heron, Snow Goose, Canada Goose, American Widgeon, Mallard, Blue-winged Teal, Cinnamon Teal, Green-winged Teal, Northern Shoveler Northern Pintail, Gadwall, Canvasback, Redhead, Ring-necked Duck, Lesser Scaup, Bufflehead, Common Goldeneye, Ruddy Duck, Swainson’s Hawk, Red-tailed Hawk, American Kestrel, Sora, American Coot, Killdeer, American Avocet, Willet, Spotted Sandpiper, Marbled Godwit, Wilson’s Snipe, Wilson’s Phalarope, Bonaparte’s Gull, Ring-billed Gull, California Gull, Herring Gull, Black Tern, Rock Pigeon, Ruby-throated Hummingbird, Hairy Woodpecker, Northern Flicker, Pileated Woodpecker, Least Flycatcher, Eastern Kingbird, Loggerhead Shrike, Warbling Vireo, Black-billed Magpie, American Crow, Common Raven, Purple Martin, Tree Swallow, Northern Rough-winged Swallow, Barn Swallow, Cliff Swallow, Black-capped Chickadee, House Wren, American Robin, Gray Catbird, Sprague’s Pipit, European Starling, Yellow Warbler, Clay-colored Sparrow, Vesper Sparrow, Savannah Sparrow, Song Sparrow, Lincoln’s Sparrow, Red-winged Blackbird, Western Meadowlark, Yellow-headed Blackbird, Brewer’s Blackbird, Brown-headed Cowbird, Baltimore Oriole, American Goldfinch, and House Sparrow. 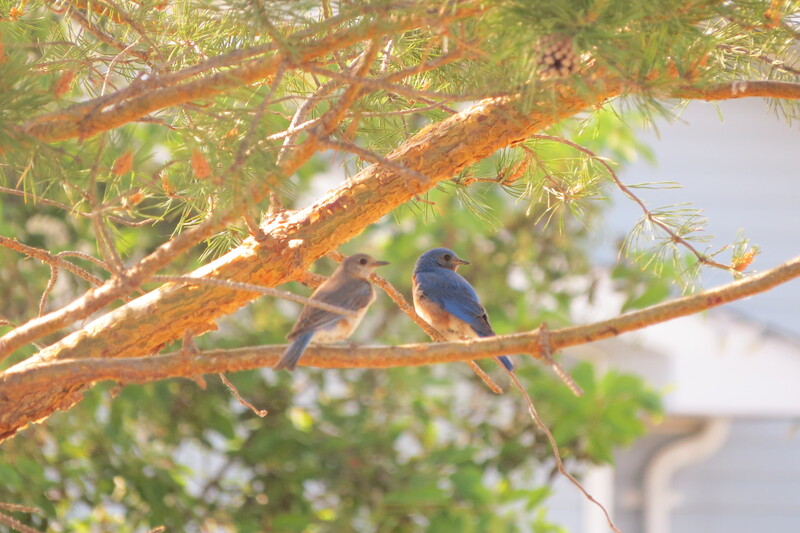 Here are two photos I took of the male and female Eastern Bluebirds last Friday afternoon. 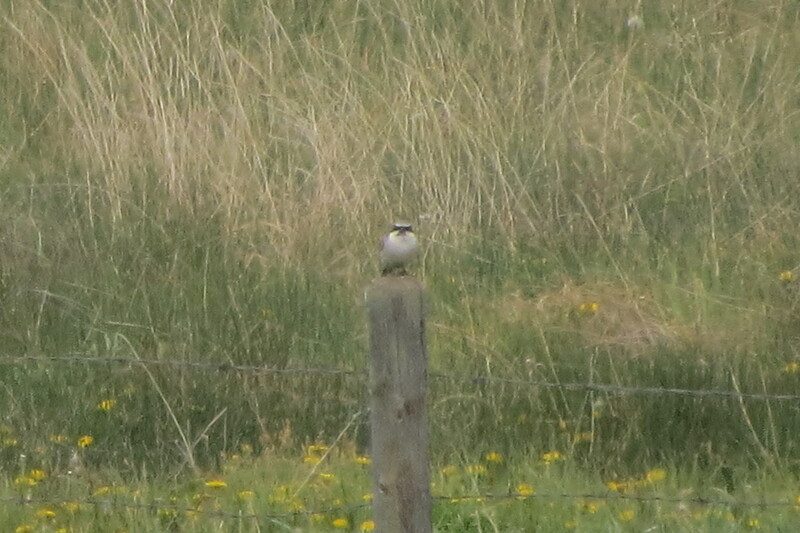 The pair have been seen, by the yard owners and by their neighbours, going into a bird box on the property. 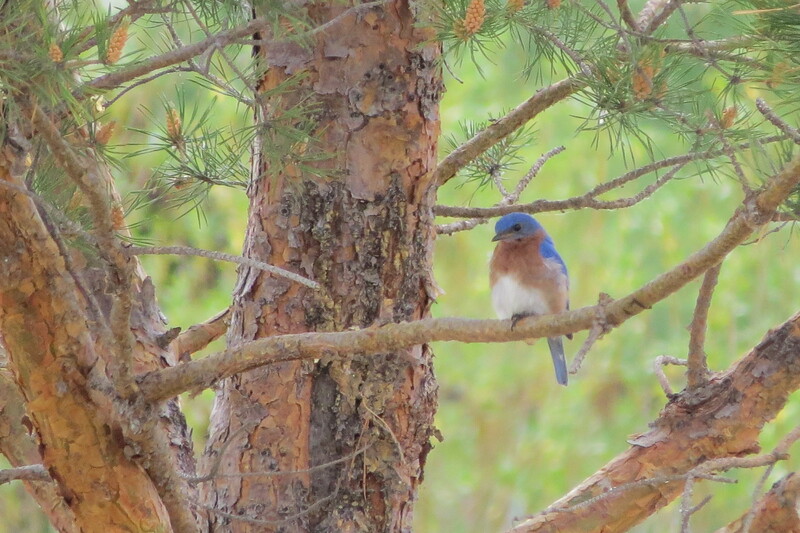 You can find my original post about the Eastern Bluebirds here. Luckily I had my camera with me and was able to some decent shots. 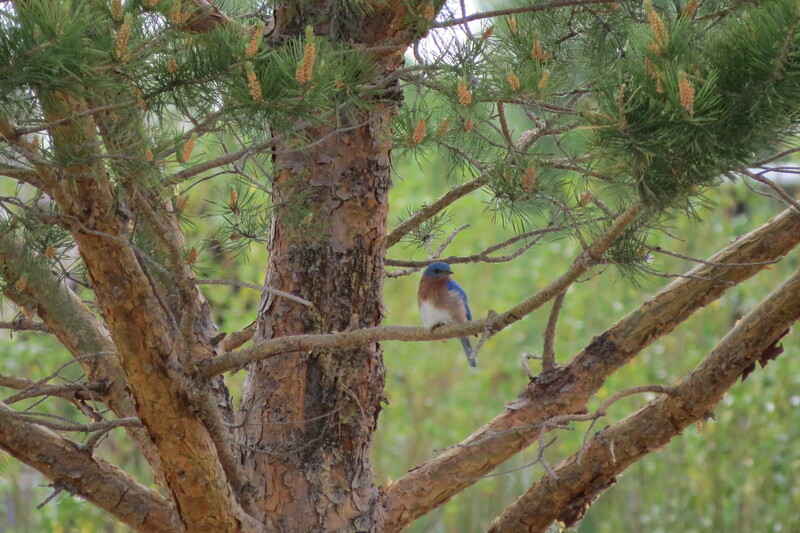 Eastern Bluebirds are not very common in Alberta — there are only a couple of sighting each year in the province, mostly in southern Alberta. 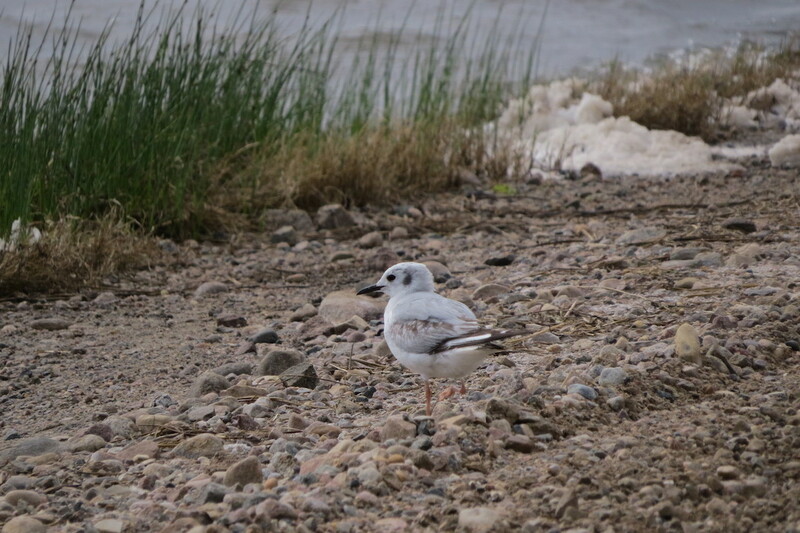 This is my second sighting of this species — the first in Ontario a couple of years ago though I didn’t get a good look at it, and now this bird! This past Sunday, my grandmother stopped by to see our lambs, chicks, and calves (I hope to post some pictures soon). 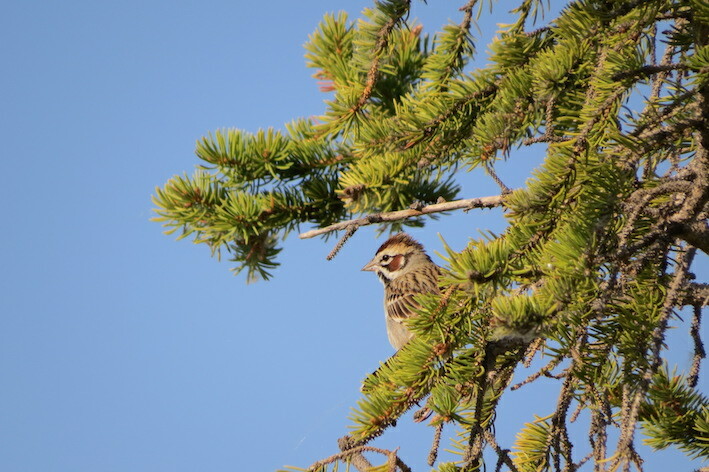 As she was leaving the yard, I heard a bird singing in one of the spruce trees on the south side of the house — it would sing every minute or so. 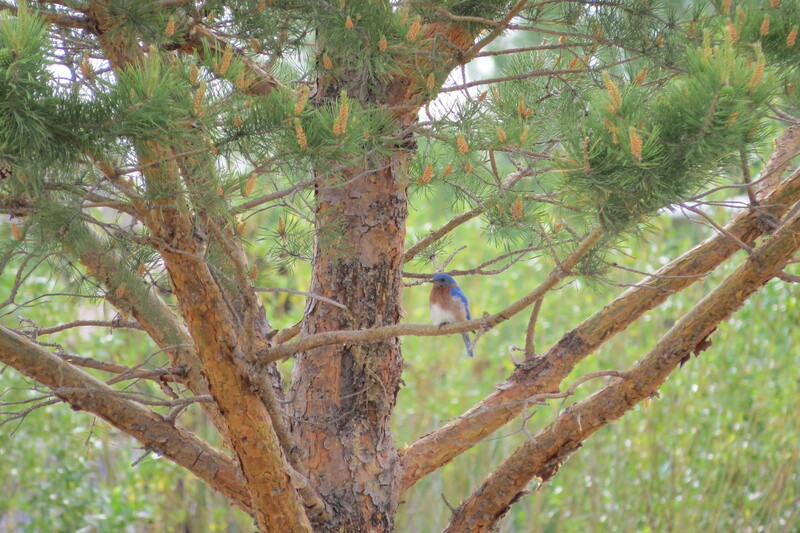 The bird was very well hidden in the branches and it took me some time to find it. 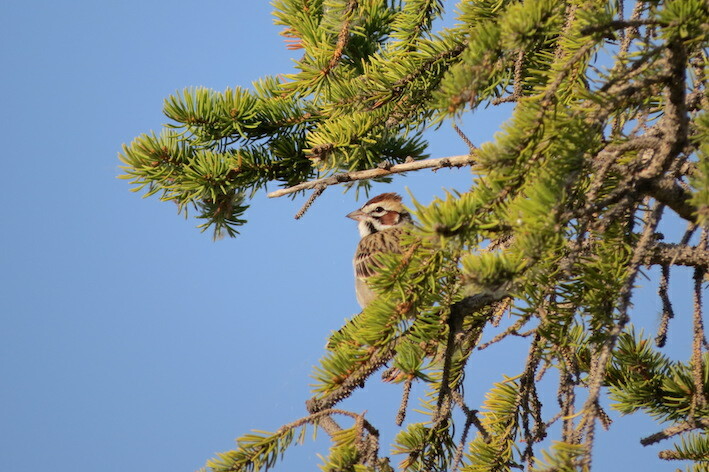 When I finally was able to see it peeking through the branches, I saw it was a Lark Sparrow, which I’d never seen before and which is fairly uncommon for this area. 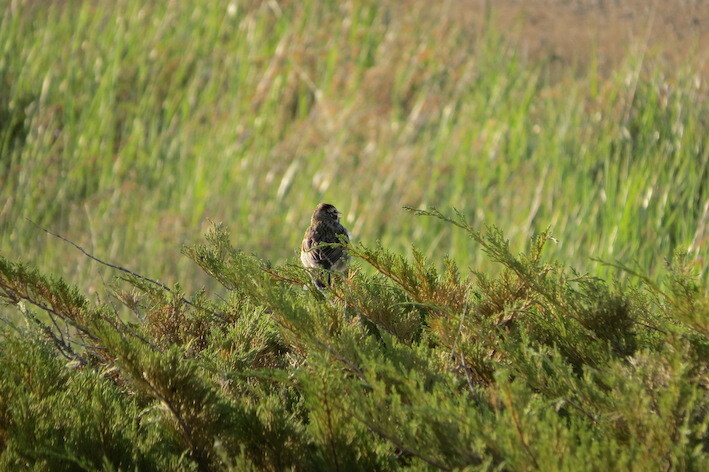 I ran into the house to get my camera, but the sparrow had left and I didn’t get a photo. Lark Sparrows are more common in southern Alberta, so it was very nice to have one show up in our yard. 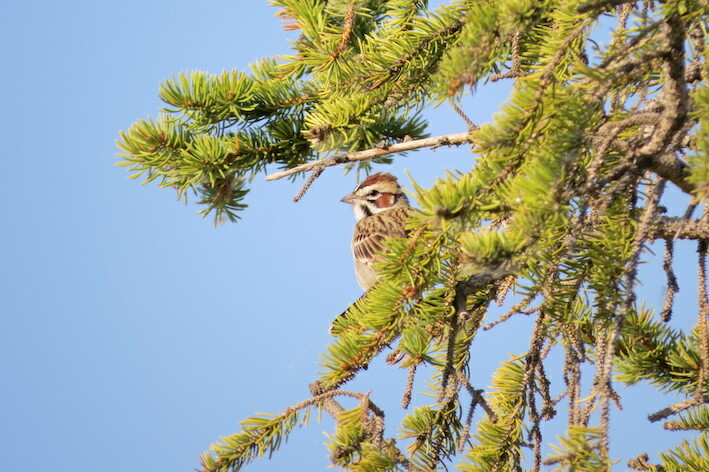 When I went outside yesterday morning, I heard the Lark Sparrow singing in the spruce tree again. 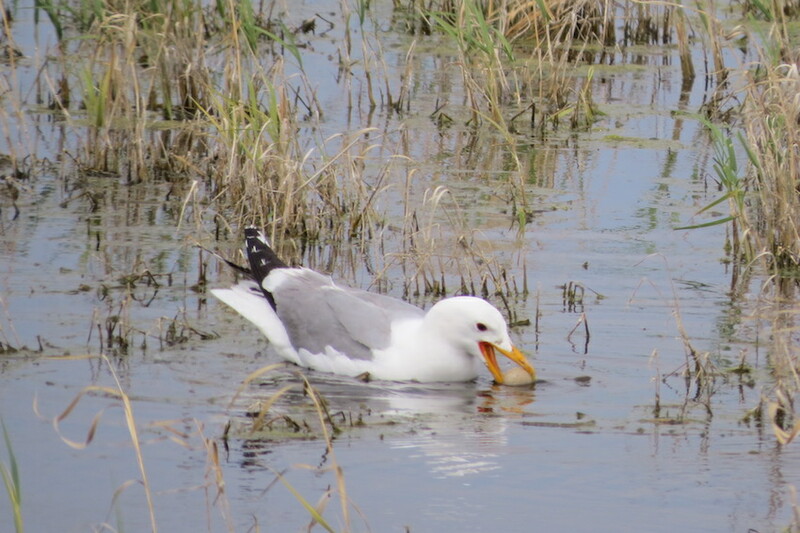 I was able to get quite a few good photos of the bird and so far, it’s the best “Yard Bird” I’ve seen! 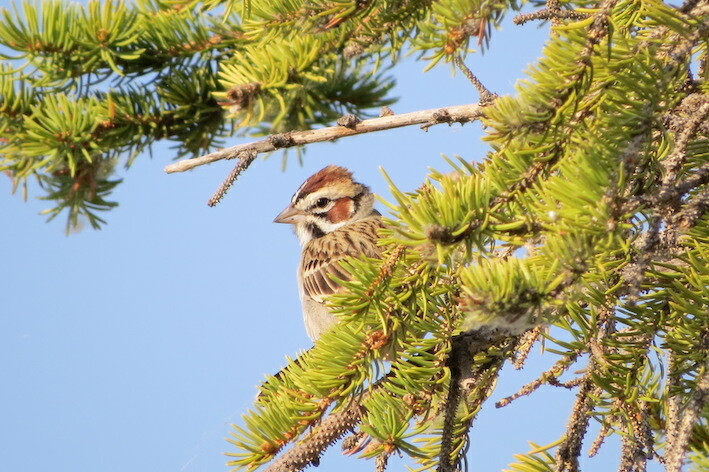 Lark Sparrows are very beautiful and have a lovely song — I hope I get to see more soon.